Oh dear lord......these are insane. The Equus-like shot especially freaked me out. What? Why is this funny? I don't get it. 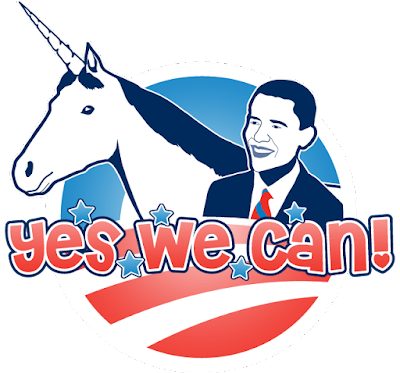 Are you guys saying I should take the Obama sticker off my car... or the unicorn sticker? 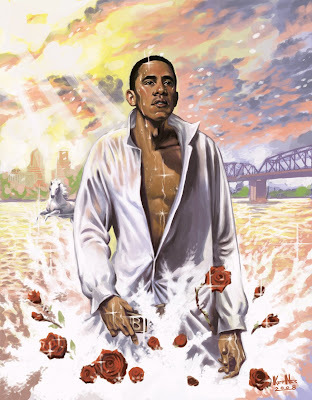 We're saying "All Obama, All Unicorn, All the Time". 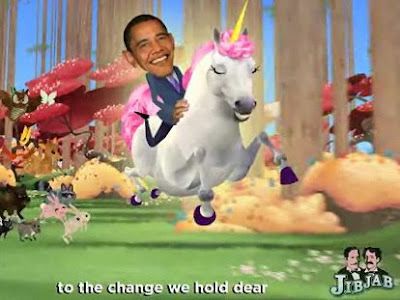 Nah, the Unicorn thing has been brought up a few places as a sign of Obama's idealistic approach. Me, I'm on board with idealism any day of the week. When your decision makers start off cynical, you're going to get a cynical system as a result (and this isn't just politics... I work in an idealistic company, and its amazing the trickle down effect. Sometimes I think the place is powered with good intentions, and despite my curmudgeonly ways... it does keep the place alive). Well unicorns do = funny. 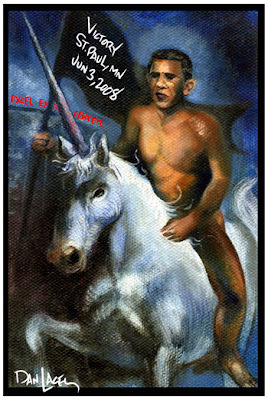 But naked politicians on top of that unicorn = even more funny. Indeed, Mere. Great minds DO think alike.